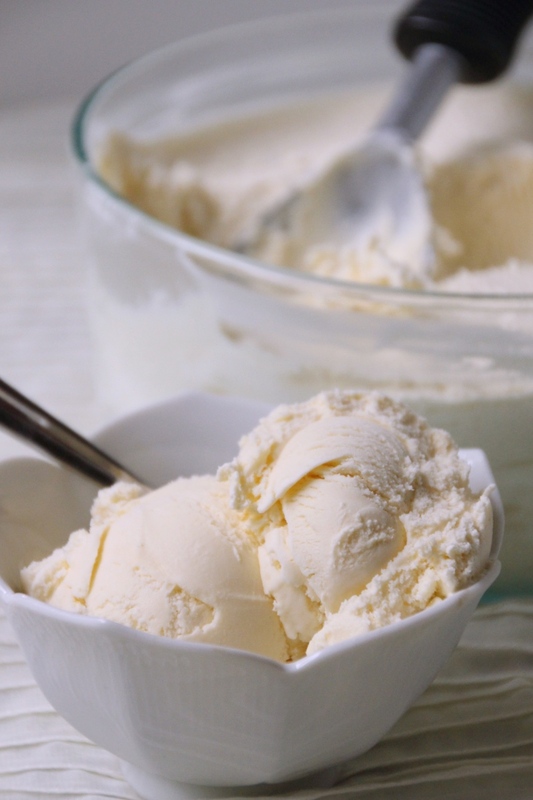 Once again we have arrived at the final week of National Ice Cream Month. It’s been a whirlwind of a month (at least for me) and hard to believe August is nearly upon us. With three weddings and two extremely intense races ahead of me, the next five weeks are set to be pretty crazy. Here’s hoping I make it out alive and unbroken. 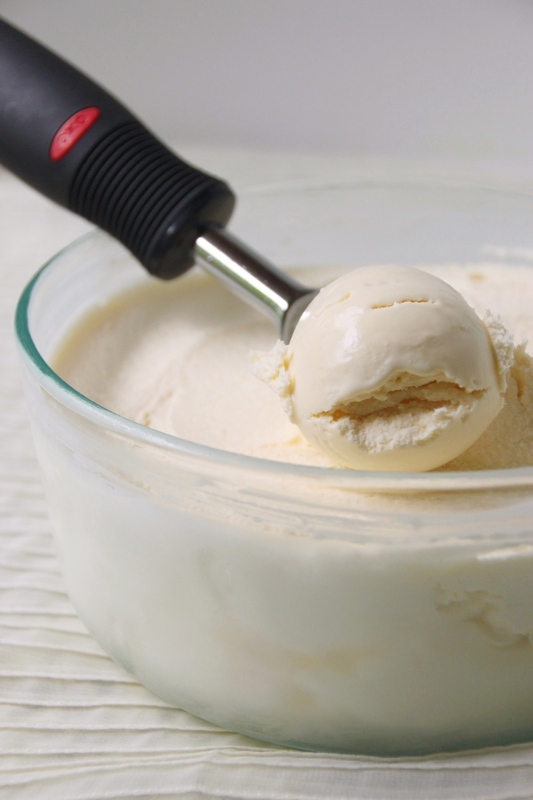 In the meantime, we can enjoy one more ice cream recipe together. This one is easily my favorite of this year’s ensemble. Although I’ve really enjoyed the other three, this is the one that really struck home for me. Light and refreshing lemon with the herbal notes of basil, it’s a concoction more often found in a savory entrée than sweet desserts, but I assure you it works extremely well in both situations. I originally tasted this pairing at a gelato shop in Boulder, Colorado last summer, during a work trip. I loved how the basil added a different note to the whole experience, without being overpowering. This year I attempted to create my own version to share with all of you. Although it took a few tries to get right, it was worth those mediocre batches to get to the final product. 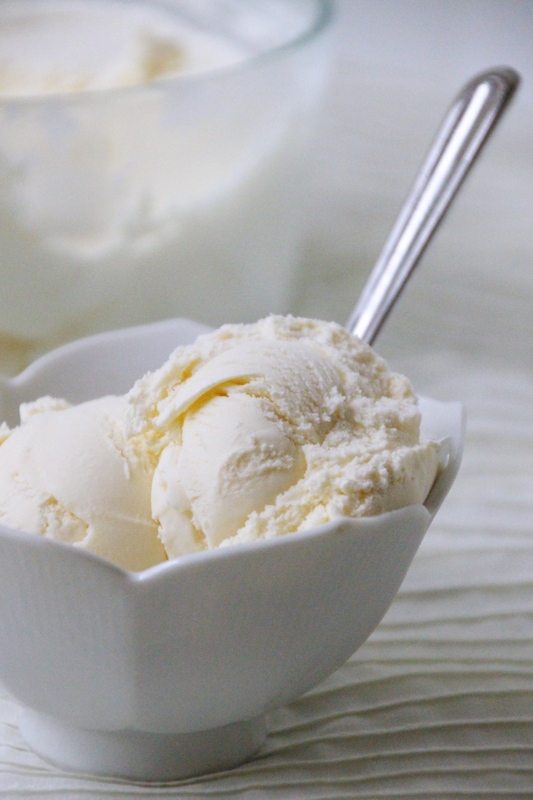 The superbly creamy texture is brightened with a pronounced lemon flavor without it tasting sour. The basil comes as a surprise since there’s no indication in the pale yellow coloring (unless you miss a few leaves when you strain it…which I did), so I recommend warning consumers ahead of time. The two are a flawless pairing and perfect on a hot summer day, but might be shocking if you aren’t expecting it. Like the blueberry lavender from a few weeks ago, this ice cream tastes much lighter than it actually is, but I assure you it’s as high in fat and sugar as ever. I portioned mine into small 4-6oz servings as it’s very easy to get carried away, and then I can just grab them straight from the freezer. This makes it easier to serve, and to make sure it’s a reasonable amount – it’s also much faster to serve to guests! I will admit the containers I use have a tendency to fall over, but I’ve yet to find stable ones that are both small enough and not crazy expensive. The search continues. This ice cream is delightful all on its own, but I think it’d also be lovely with a scoop of blueberry crisp. Lemon and blueberry are always a sure bet, and I think the basil would blend wonderfully into the whole shebang. The next time I make crisp or cobbler I will definitely make a batch of this to pair with it. I hope you have enjoyed this month’s series and have some fun new flavors to try, or at least drool over. We will now resume our regularly scheduled programming, with plenty of deliciousness ahead! In a small saucepan, lightly muddle basil and lemon zest. Add milk and heat to a light simmer. Remove milk from heat and let steep at least 15 minutes. In medium bowl, whisk together remaining ingredients until completely combined. Slowly stream in milk with the basil and zest, whisking constantly. Using a fine-mesh sieve, strain mixture to remove leaves and zest. 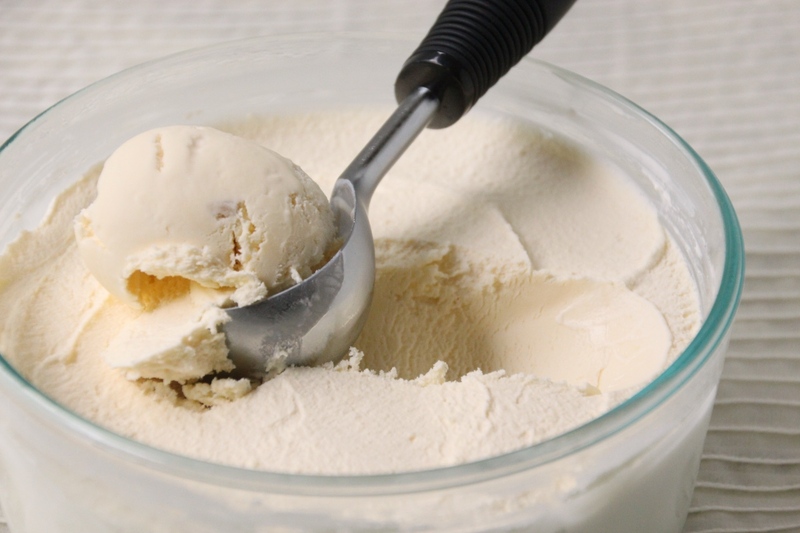 Freeze according to your ice cream maker’s directions, then place in a cold freezer-safe bowl to freeze overnight, or until firm.